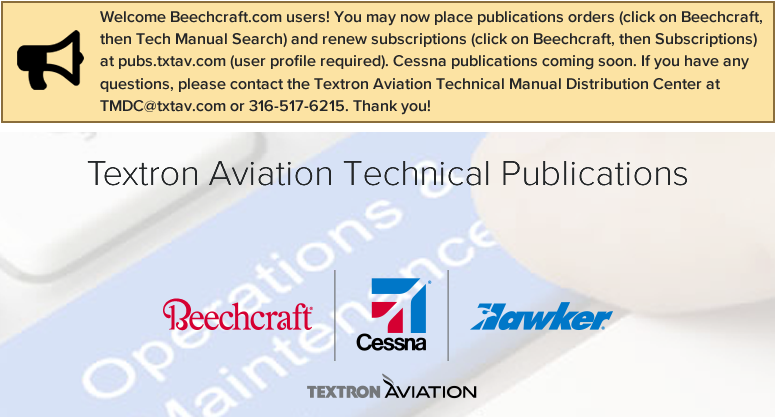 Welcome to the Textron Aviation Technical Publications Home Page. This website includes technical publications data and documents for all three Textron Aviation brands: Beechcraft, Cessna and Hawker. 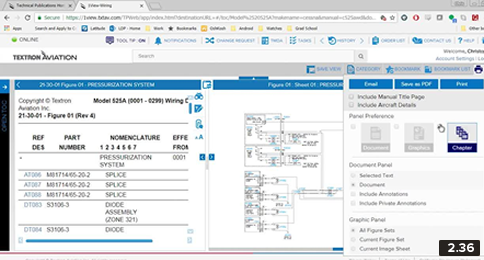 The site houses an all-new web-based viewer that combines the best functionality of the well-known Cesview and IML libraries, with many new and improved features. The web-based viewer also includes flight information alongside the maintenance and parts documents for ease of use. An extensive, searchable Service Information library is available at no charge to provide the latest information for your airplane. Update your user profile, manage your technical publications orders and renew subscriptions in My Pubs Account. Help is available by clicking on the Help/FAQ link. 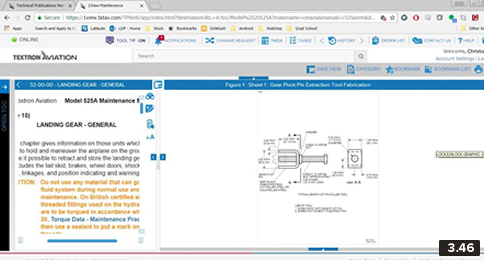 Parts information is available for all brands in a variety of ways such as downloadable parts lists, parts substitution lists and PDF versions of Parts Catalogs – all at no charge. 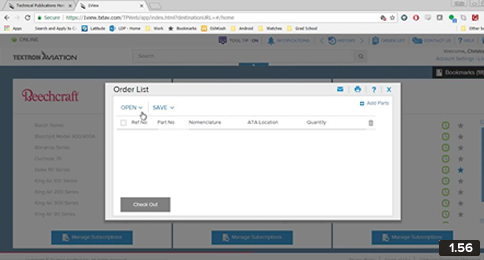 Order parts through the Textron Aviation Parts Website by using the checkout feature of the TechPubs web-based viewer. Technical Manual Deviation Approval forms are available to provide the most current instructions for continued airworthiness. 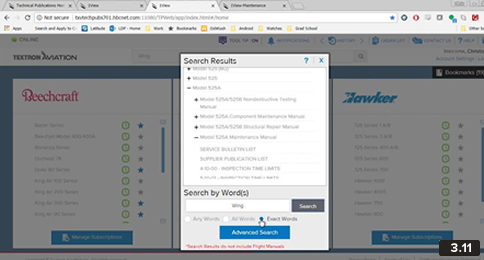 When researching maintenance or parts information, search the TMDAs for any changes or additions to the applicable manual. Find a change in a manual? Submit a Publications Change Request for any brand or model. Explore the features and benefits of our new web-based viewer. Watch testimonials from your peers in the industry. Register for an upcoming webinar or workshop.